Tales from the life of a Beauty Therapist offering 3D-lipo, Laser Lipolysis, Massage, Waxing, Facials and hair removal by Threading in Woking, Surrey as well as helpful advice and information on the business of beauty. We are thrilled to announce that Beauty Therapist Marcio is now a Finalist for Male Therapist of the Year in the BABTAC Awards! The BABTAC and CIBTAC Annual Awards is one of the most prestigious events of the year in the beauty, hair and holistic calendar. The Awards are open to twelve thousand members and is known for it's rigorous trade tests and standards of high quality. We wish Marcio all the very best! 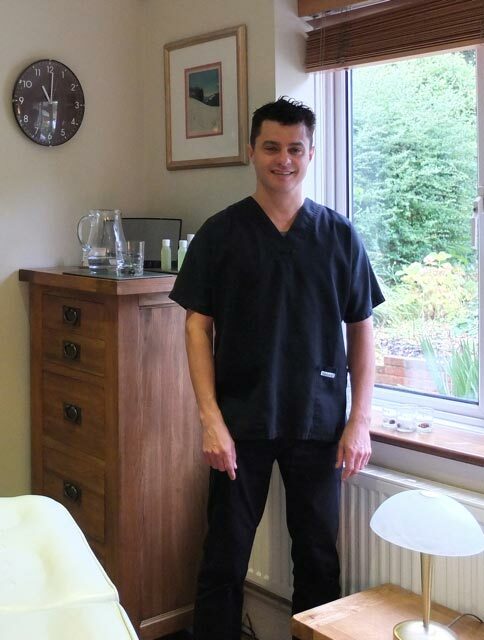 Marcio da Rosa works for Daniel Beauty Ltd, providing male waxing, facials, massages, threading and many other treatments from our home-based salon in Woking Surrey. The final photos will be on our Twitter Feed, Facebook and Website soon. How will having a Massage help me? If you have never had a massage before and are a bit nervous or a little apprehensive about what to expect, please don't be. There's Deep Tissue Massage, Swedish Massage, Sports Massage, Shiatsu Massage, Hot Stone Massage, Indian Head Massage - as well as Thai Massage and Ayurvedic Massage. There are so many types of massage - so where do you start? How do you know which one is right for you? Swedish massage stimulates blood flow and lymph drainage which removes toxins and waste as well as helping oxygen to flow more easily. Massage also has a dramatic effect on the nervous system. Massage can help engage the parasympathetic system which helps you to restore the balance and calm you down. This is something that we are often unable to do ourselves with the demands and pressures that everyday life can throw at us. You might find it difficult to switch off when you go to sleep, and end up sending emails to yourself to remind yourself to do things the following day. Massage can also energise you by helping you sleep better, improve mental alertness, improve mood and ease anxiety. We just need a break from that stress from time to time. And massage is the answer. Will having a massage help my back pain? Have you ever gone to you GP suffering from a bad back and then just been sent home and told to rest and take painkillers? I bet you - or someone you know - has had just that! Lower back pain is such a common condition - almost always caused by bad posture - but so many people put up with it for years, without realising there is another way. And that other ways is Massage. Lower back pain can become a chronic condition which will cause you a lot of unnecessary suffering if you don't get treatment. So how can a Massage help your back pain? And you won't need painkillers! Intimate Male Waxing, Body Waxing, Massage, Tattoo Removal, 3D-lipo, Laser Lipolysis, Male Waxing, Massage (Hot Stone, Sports, Swedish, Shiatsu, Four-Handed Massage), Indian head Massage, Threading, Facials.